The Make Noise SoundHack Echophon was awarded an Editor’s Choice Award by Electronic Musician magazine in the category “Digital or Analog? Yes!” Thank you EM for the recognition, and thank you Make Noise for a great collaboration! 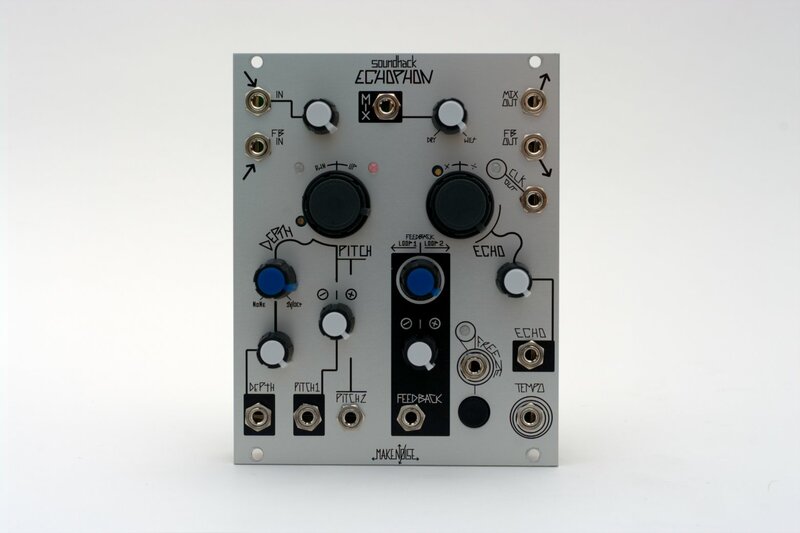 The echophon, a synthesizer module I co-designed with Tony Rolando of MakeNoise has just been released (get it at Analog Haven). Sound On Sound reviewed Pvoc Kit a little while ago – thought I would take the liberty of uploading it here…. I have just released pvoc kit version 1.50. I have eliminated a fatal bug in +pvocloop which would cause a crash when scrolling to the end of a soundfile with an odd number of samples. I have also improved the high frequency response of +pvocloop considerably. The Windows update is available to registered users – please email me for the link. Bug fixes in +pvocloop audio unit, and general stability and channel switching logic improvements in all plugins. Lion support is still beta – email me if you would like to try the Lion plugin unlocker (that is, if you are already a registered user). This update corrects the occasional mute or buzzing that was occuring in +spiralstretch. Also, the OS X installer includes a freeware phase shifter (+phasor) in VST, AU and RTAS. So far most all of the plugins, and SoundHack have been working under Lion. More testing needs to be done to make sure. The Spectral Shapers and Pvoc Kit copy protection is now working under Lion. With the exception of Pvoc Kit, Audio Units do not always display automation. All Audio Units will be updated in the next month to better respond to automation. RTAS plugins are yet untested, as ProTools is not yet supported under Lion. Pvoc Kit 1.46 is released. It fixes a bug in the RTAS versions that was causing crashes in +pitchsift and +phasemash. It also clears up the clicking in granular mode in +spiralstretch. I’m not going to tell anyone but the SoundHack group on FB, but Pvoc Kit is finally done and available at http://www.soundhack.com. The official release will come next week with press releases, balloons and free hotdogs ;-).